WeWork, the world’s largest provider of co-working spaces, opened its 10th location in Seoul on Monday, further expanding its presence in South Korea, while marking the company’s second anniversary in the country. 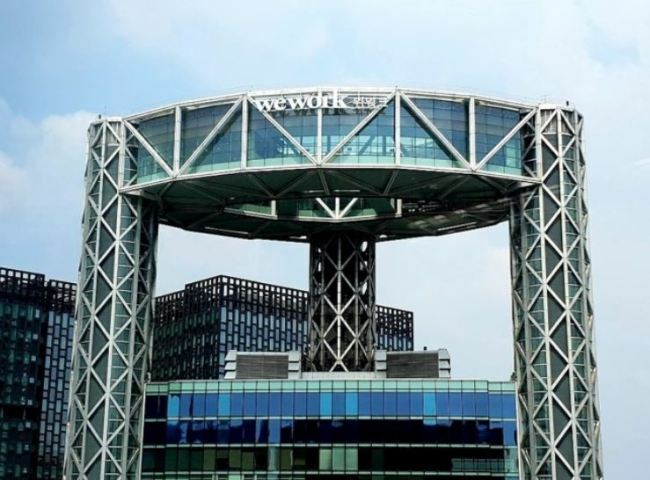 The 10th WeWork office in Korea is located at Jongno Tower in central Seoul and is the fourth of its kind to open in the Gangbuk region north of the Han River, after WeWork’s offices in Euljiro, Gwanghwamun and Seoul Square near Seoul Station. WeWork Jongno Tower can accommodate more than 1,800 people across its eight floors of office space. Its offerings include a special community lounge located at the top floor and a member-exclusive elevator. Since opening its first co-working space in Gangnam in August 2016, WeWork has been quickly broadening its footprint across Korea, emerging as a prime office space provider to local startups, creators and freelancers with accommodation needs. As of September 2018, WeWork hosts 15,000 members in Korea -- more than double the 5,500 it had accommodated as of 2017. “We are truly excited to have successfully expanded into a community that is providing for more than 15,000 local creators in just two years of business in Korea,” said Matthew Shampine, WeWork Korea’s general manager. “Echoing our commitment of further contributing to the local society, we will continue connecting our members to WeWork’s global network as well as providing rich support and inspiration,” he said. Looking ahead, WeWork is planning to open two new locations in Seoul by next year: a second office in Seolleung in southern Seoul and a new office in Hongdae in the west. In addition, Korea is the first country in Asia to house WeWorks Labs -- a startup acceleration space operated by WeWork that offers strategic programs and support to help nurture local startups in various industries. WeWork Labs is currently available at four locations in Seoul -- Yeoksam, Euljiro, Yeouido Station and Seolleung -- alongside regular WeWork offices.